Perfectly moist, perfectly cheesy, and bursting with fresh flavor! 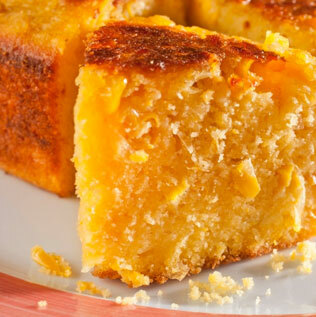 This recipe really is the best cheesy Mexican cornbread recipe. Preheat oven to 350°F. Grease and flour a 13×9 baking dish. Combine cornmeal and sugar in a medium bowl. Stir in oil and eggs. Add onion, corn, buttermilk, cheese, bell pepper and jalapeno pepper and stir to combine. Pour batter into pan and bake about one hour or until brown. Cut in squares.